EBAD found they were short handed in the area of manufacturing support. Their staff was busy supporting an aggressive product development schedule. Thus they needed an experienced team with expertise in the area of tool design and semi-automated manufacturing cell development to make up the schedule so not only could the product be developed on time, but manufacturing quantities could be ramped up to support production delivery dates. 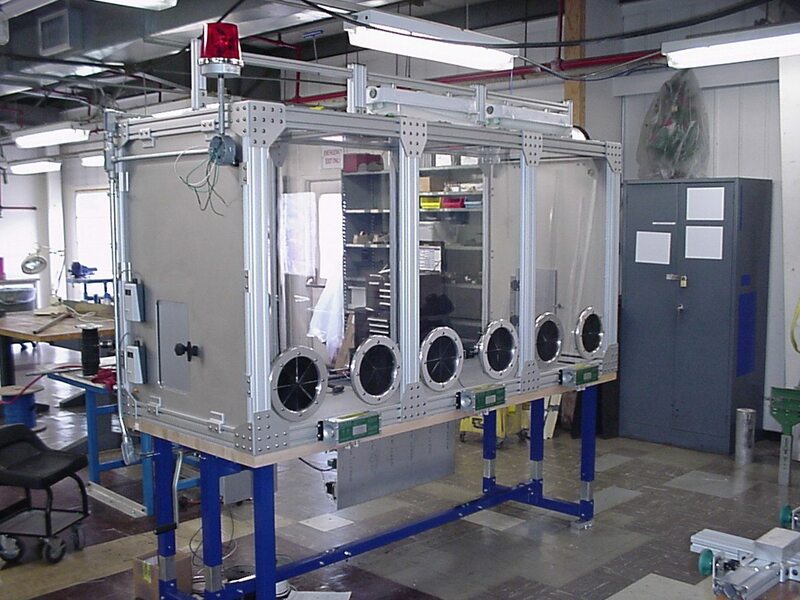 The DBA team quickly assimilated the customer’s requirements and with little supervision was able to independently work with the shop floor personnel to develop a concept and move to detailed design to support quick fabrication and checkout of a first prototype, explosion proof, safe semi-automated glove box assembly stand.